In some truly shocking news coming from Russia, Chechen authorities, according to a Russian newspaper, have arrested over hundred gay men. The Novaya Gazeta report suggests that three men have also been killed by the authorities. Homosexuality isn't illegal in Russia, however, their stance, strengthened by the views of President Vladimir Putin, is squarely against LGBT rights. In 2013, Putin signed a 'gay propaganda' law which dictated that 'propaganda' about gays shouldn't be shared with minors. Now, this is thoroughly problematic as it is based on the premise that education about homosexuality is propaganda. But going by Chechnya's standards, Moscow is still fairly liberal. Chechen leader Ramzan Kadyrov's official spokesperson, Alvi Karimov, denied the allegations. Calling Novaya Gazeta's report in a statement to Interfax “ absolute lies and disinformation”, Karimov further denied the very existence of gay men in Chechnya. “You cannot arrest or repress people who just don’t exist in the republic,” he said. He then went on to issue what can only be read as a direct death threat to the gay community in his state. “If such people existed in Chechnya, law enforcement would not have to worry about them, as their own relatives would have sent them to where they could never return,” Karimov said. Karimov's statement serves as testimony to the Chechen authorities' attitude towards diverse sexualities. And while they may have denied the allegations regarding the disappearances, to deny the existence of LGBT people to begin with could be a starting point for investigation. According to the Novaya Gazeta report, it all started with a request to host gay pride parades in four Russian cities that have large Muslim populations, Chechnya being close to one of them. GayRussia.ru, the group behind the pride marches, was unsurprisingly denied permits in all these regions, and were thus planning to bring the same to the notice of the European Court of Human Rights in France. The city near Chechnya, Kebardino-Balkaria, for which the group sought permission, not only denied them the right to celebrate, but also launched an anti-gay counter demonstration. That, of course, was readily allowed. 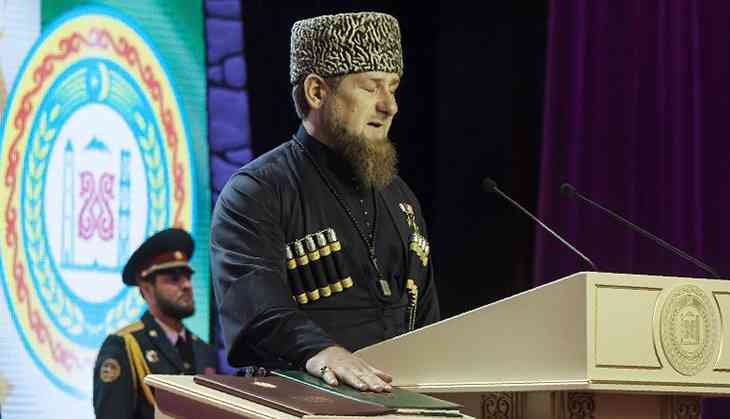 The report states that in Chechnya a command went out for a 'prophylactic sweep' of gay men. The order went “as far as real murders”, Novaya Gazeta reports. And the witch hunt carried out against the community, it seems, was done through social networking platforms – an easy way to target an already persecuted community. “Of course, none of these people in any way demonstrated their sexual orientation publicly — in the Caucasus, this is equal to a death sentence,” the report reads. Evidently though, people do tend to reveal their true identities on such networks, especially when they believe they're speaking to another queer or an ally. An online network of queer people, is, after all, the closest one can get to a safe space in such a hostile environment. That this can be so easily exploited to hunt down people, make them disappear off streets, from their homes, erase lives, and completely deny their existence, is horrifying.